A whale choir, the exploration of cosmic bubbles and a slime study are among five proposals shortlisted for the Dare Art Prize. The annual 15,000 prize, in its first year, is aimed at getting artists and scientists to work together creatively. The other entries are chamber music scored beneath the limits of human hearing plus artworks which classify emotions using scientific rigour. The shortlist was announced by Opera North and the University of Leeds. Applications for the proposed artworks were received from around the world, with those on the shortlist using media “ranging from music to sculpture, from holograms to interactive installations”. 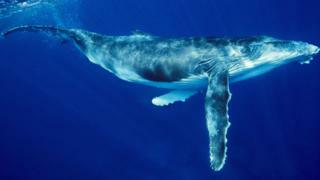 Marina Rees: She has been researching and mapping the skeletons of whales using sound. Based in Iceland, the artist would create installations receiving live transmissions from marine environments, with Opera North’s Chorus “transformed into a whale choir”. Melanie King: She is studying at the Royal College of Art and has related “cosmic bubbles” – based on work by Leeds University’s professor Tom Hartquist – to soap bubbles in 17th Century painting. She proposes an installation of “experimental optical and perceptual illusions”. Samuel Hertz: He is a musician who proposes a performance involving low frequency infrasound below the limits of human hearing, but “can be felt, and may have an effect on mood and emotions”. He would collaborate with Leeds University’s School of Earth and Environment and its Interdisciplinary Centre for Scientific Research in Music. Robin Dowell and Joanna Lampard: Their backgrounds are in sculpture and illustration respectively, and they propose to classify emotions “with a scientific rigour”. They want to work with psychologists, bacteriologists and physicists to create work in the form of sculptures, images or books. Gary Zhexi Zhang: He is already working on a project cultivating slime mould and “observing its swarm intelligence and social behaviours”. His proposal features an interactive film installation and a possible collaboration with Opera North using “slime’s behaviour as a model for the creative process”. Dominic Gray, projects director for Opera North, said the proposals “ranged from the beautifully simple to the devilishly complex”. Professor John Ladbury from Leeds University’s faculty of biological sciences, said the prize reveals “the beauty and excitement” of a collaboration between the arts and science. The winner will be announced in the Howard Assembly Room, Leeds on 13 February. The collaboration between artist and scientist will be revealed in March 2018.